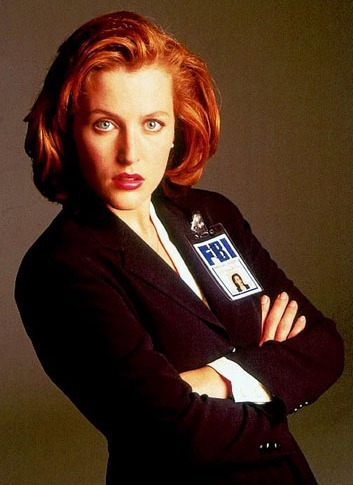 The bed room air quickly cooling to her preferred temperature, lights slowly dialing up and the soft trill of her phone connection roused Dana Scully from her sleep. A glance at the shifting patterns of the malleable Sof-Wall© revealed it was 2:09 in the morning. 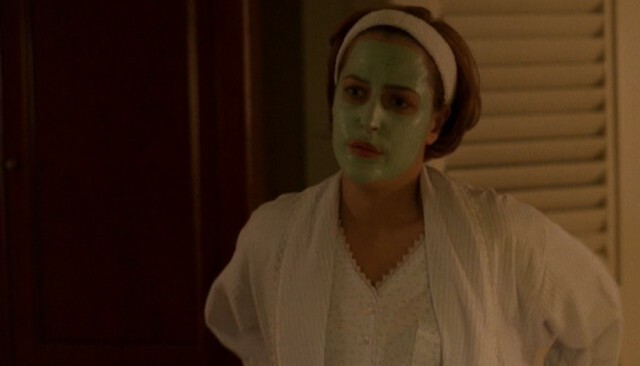 With an irritated gesture of one hand that was detected and interpreted by the house sensors Scully halted the standardized announcements and home preparation of a phone call. Scully knew a call that early was never a good thing and another gesture dimmed the lights back to their previous darkened setting. years of sharply-honed instincts told Scully it was better to remain in a covert mode until she was better informed. A wave form representing the connection rippled on the Sof-Wall© followed by the sound hisses and crackles. Scully frowned. “What, it’s 1993?” she mused. There was another moment of static and then a male voice could be heard. “Mom? Are you there?” The voice sounded as if it came from an incredible distance but it was instantly recognizable to Scully. It was her long missing son! The house pinged and symbols for a lost connection scrolled across the wall. Not hesitating any further Scully gestured at her bed and the Sof-Wall© opened a secure pocket, ejecting a shiny SIG-Sauer P228. 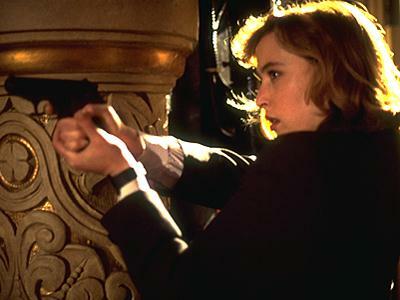 Scully snatched it from the temporary shelf-tongue, grabbed the magazine and slammed the it into the weapon, jacking a round into he chamber and taking the safety off in smooth, well-remembered actions. The gun was an old nearly obsolete weapon but still deadly. “Kind of like myself.” Scully muttered grimly. Somehow, William had known his mother was in danger and she was experienced enough not to dismiss the warning as some conspiratorial feint to deceive, inveigle or obfuscate. Suddenly, the bedroom window shuddered under a terrific impact. The Sof-Wall© shifted and the artifice of a window vanished and merged with the rest of the wall as the house responded to the attack, transforming into a protective mode. Scully chuckled. Whatever was seeking to gain entrance through the mock windows wasn’t very smart, not being aware enough to realize that actual windows and doors were nothing but programmable and temporary transparent sections or portals in the structure of modern Sof-Wall© housing.